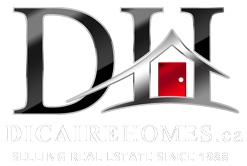 Dicaire Homes, Ottawa real estate: Thinking of Buying? In life, it is said that it is always wise to have a plan of approach when we choose to make any major decisions, purchasing a home is one of those major decisions. When you are buying a home, everything matters! One of the Top Real Estate Team in Ottawa is here to carefully guide you through the process! We, the Dicaire Team, have our pulse on the market, on each community and do what it takes to find you your dream home. Being a Lifetime member of the prestigious award “The Chairman’s Club”, i.e, the Top 1% in Canada for Royal Lepage, we have contacts and strong relationships that allow us to find out about listings before they are even on the market and of course, we let our buyers know a.s.a.p. In the current real estate market the importance of working with top realtors in the Ottawa area cannot be stressed enough. Hiring the Dicaire Team…with a total of 60 years of combines experience, we KNOW the local market, we can tell you which are the best buys, which homes are over-priced and which homes have the best resale value. This will, one day, save you time, effort, money and most importantly, stress. We will familiarize you with the market and educate you so that when decision time comes, you’ll have the knowledge you need to purchase your home. You will know which one to buy! A lot of our business is relocation, so we promise to make the most of your house hunting trips here, too. We have been successfully helping families and individuals relocate for years and know what it takes. When do you plan to move? Is this firm or flexible? Is it realistic in terms of price, size and location? Do you have to sell before you buy or do you prefer to buy before you sell? Talk to your banker about it! If you found the ideal home tomorrow, would you be able to purchase it? Would you be willing to work exclusively with one agent? When you have a clear picture of the answers to the above questions, please contact Lynne or Yves and we will be glad to arrange an appointment to meet with you. Once we have made our initial contact we will see if a climate of confidence and mutual respect can be established and if our work ethic and expectations are the same. We can proceed with the next step which will be narrowing down the scope of the ideal home. As your buyer representative, we will provide you with our list of reputable and competitive, service-oriented Mortgage Representatives, Home inspectors and Lawyers to ensure a smooth transaction. Our clients say that we project professionalism, trustworthiness, confidentiality, while making the process of buying a pleasant experience. We will negotiate fully on your behalf and promise to become your advocates throughout the process. to do such an amazing job for you that you will feel compelled to refer your friends and family to The Dicaire Team! Today there are so many ways to find a home… from a Google search, to plugging in an MLS number, to searching Realtor.ca and with numerous searches on agent websites inviting you to search all of the Ottawa Homes, it can be confusing. During your first conversation with the agent, ask questions about neighborhoods, schools, amenities and other commuting info. We mean specifics that you are interested in knowing about. Soon enough, you will realize whether or not the agent you are speaking with is the local market expert that can best help you with all of your options. When The Dicaire Team works with home buyers, we are your advocates. Our job is to help you get what you want. We view ourselves as your consultants, your strategists, your advisors. We will always tell you the truth and will always provide you with enough information so that you can make an informed decision about your home purchase. Ask the Realtor you are interviewing how proactive they will be in finding you a home. For example, would they go knocking on doors of streets you really like? Would they call other realtors to see, if by any chance, they have a pocket listing that might perhaps match your criteria? The Dicaire Team has helped many buyers find the home of their dreams even before the property appeared on the public market. We take a pro-active approach instead of just waiting for new listings to appear on MLS. The purchase of your new home should be an enjoyable event... we will do our utmost to make this happen.